IIHF Hall of Famer and Order of Hockey in Canada Distinguished Honouree Dave King is returning to a familiar role as Team Canada bench boss at the 2016 Deutschland Cup. Hockey Canada and its general manager for the Deutschland Cup, Sean Burke (Windsor, Ont. ), announced King’s selection as Canada’s National Men’s Team head coach on Friday. King (Saskatoon, Sask.) will lead the coaching staff which also comprises assistant coaches Mike Pelino (Welland, Ont. ), Luke Richardson (Ottawa), and Mike Stewart (Calgary). King ’s international coaching career got its start in 1982 with two medals – a gold at the 1982 IIHF World Junior Championship, and bronze at the 1982 IIHF World Championship. He followed that up with a bronze medal at the 1983 IIHF World Junior Championship before becoming Team Canada’s head coach in 1983-84 – a role he held until 1992-93 when he accepted an NHL head coaching role with the Calgary Flames. King won a silver medal for Canada at the 1992 Olympic Winter Games, and his last role behind the Team Canada bench came at the 1999 IIHF World Championship. King has held a variety of roles in the NHL, SHL, and KHL since 1992, and was inducted into the IIHF Hall of Fame Builder category in 2000-2001. Pelino won gold for Canada as assistant coach at the 1997 IIHF World Junior Championship and 2003 IIHF World Championship, and was head coach at the 2002 IIHF U18 World Championship. He was the assistant general manager of Canada’s 2002 Deutschland Cup team, and led his KHL Metallurg Magnitogorsk team to victory at the 2013-14 and 2015-16 Gagarin Cup as assistant coach. His career includes coaching roles with the WHL Spokane Chiefs, OHL Peterborough Petes, AHL San Antonio Rampage, and NHL New York Rangers. Richardson represented Canada as a player on the 1987 IIHF World Junior Championship team, and won gold and silver medals playing for Canada at the 1994 IIHF World Championship and 1996 IIHF World Championship respectively. Richardson transitioned from playing in the NHL to coaching in the NHL during the 2008-09 season when he was brought in mid-season as assistant coach. His playing career counts 21 seasons in the NHL, having suited up for the Toronto Maple Leafs, Edmonton Oilers, Philadelphia Flyers, Columbus Blue Jackets, Tampa Bay Lightning, and Ottawa Senators. After four seasons as Ottawa’s assistant coach, Richardson accepted the head coaching role with the Binghamton Senators of the AHL. Stewart , who holds dual Canadian and Austrian citizenship, was assistant coach at Canada’s last appearance at the Deutschland Cup in 2014. He has played for both Team Canada (1996-97), and Team Austria, having won a gold medal for Austria at the 2006 IIHF World Championship Division 1 (B). Stewart is head coach of Augsburger Panther (DEL) for a second consecutive season, having moved there after three seasons as head coach of the Fischtown Pinguins (DEL2). Canada will tap into its top Canadian talent playing in Europe to field its team. This will be the red-and-white’s first appearance at the Deutschland Cup since 2014. 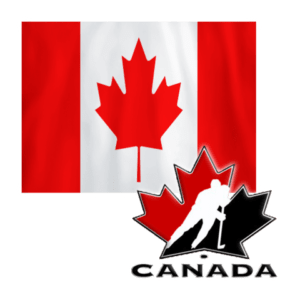 Canada’s National Men’s Team opens the Deutschland Cup, being hosted in Augsburg, Germany, on Nov. 4 against Switzerland; the team plays Slovakia on Nov. 5, and Germany on Nov. 6. 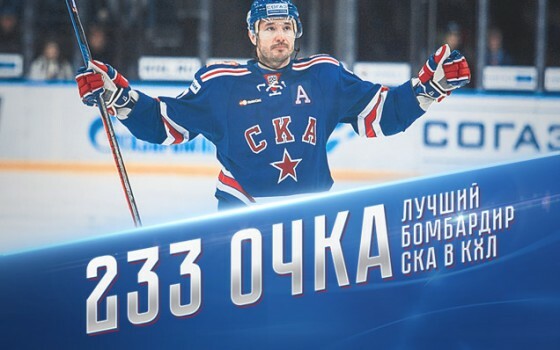 With 233 points (96 goals 137 Assists), Ilya Kovalchuk has overtaken Tony Martensson to become SKA’s all time top scorer in the KHL. 209 of those points have come in the regular season (85 goals+124 assiasts), while the remaining 24 points (11 goals +13 assits) were earned in the Gagarin Cup playoffs. Taking six points against Salavat Yulaev on the 25th of August, he holds the SKA record for amount of points in one game alone. Ilya also has the record for points in consecutive games. In the 2012/2013 and 2013/2014 campaigns, he registered in eleven matches in a row. Out of 31 opponents, Ilya has points against 30 teams. He has only failed to get on the scoreboard against Chinese KHL newcomers HC Kunlun Red Star. Ilya boasts an amazing 23 points against CSKA Moscow alone (12 goals+11 assists). It could be a tough challenge but the national women’s ice hockey team is determined to try for a berth in the 2018 Winter Olympics in South Korea. If they succeed it will be a first for any country in Latin America, where just three have their own women’s national hockey teams. Players on the four-year-old Mexican squad got their start playing roller hockey. Lately they have been playing on men’s teams to earn experience under more demanding circumstances, said player Mónica Rentería. Their skills will be put to the test this weekend at the IceDome in Mexico City where they will play teams from Hong Kong and Turkey in the first qualifying round for the Olympics. Those games will be followed by three more qualification rounds where the competition will be challenging, wrote Dustin Nelson at The Hockey Writers. He believes Olympic qualification is unlikely but says the team is inspiring the next generation of Latin American players. One of the national team members has been preparing for the Olympics by playing in Canada. Forward Claudia Téllez, 32, is the first Mexican player to play in the Canadian Women’s Hockey League after being drafted in August by the Calgary Inferno. The Mexican team’s alternate captain is determined to go to the Olympics and to play professional hockey. “. . . I decided that the next four years I’m going to work on the project for the Olympics and also prepare for professional hockey,” she told The Hockey Writers. The Jalisco native is back in Mexico this week, getting ready for the games scheduled for Saturday and Sunday. National Hockey League Players’ Association (NHLPA) representatives have agreed to pay an inspection visit here later this month in what is being hailed by the International Olympic Committee (IOC) as a major “step forward” towards their participation in the 2018 Games. International Ice Hockey Federation (IIHF) President René Fasel has, however, painted a less positive picture and claimed the “situation is still very difficult”. Fasel admitted to insidethegames in April how reaching a deal was “even more difficult” than before, and claimed during the recent World Cup of Hockey that prospects remained “50-50”. NHL officials also said they were “more negative” following meetings at last month’s event in Toronto. “We had a discussion about this operational matter yesterday,” said IOC Olympic Games executive director Christophe Dubi here following the end of the latest Coordination Commission inspection visit. “A NHL technical inspection visit will take place at the Gangneung Hockey Centre towards the end of October. But Fasel, who later clarified it was the NHLPA rather than the NHL who would be visiting, appeared less hopeful while praising Pyeongchang 2018 for the logistical help that they are providing. Dubi, like Fasel, has also opposed suggestions that the IOC would allow the NHL to skip Pyeongchang before returning to appear at the Beijing 2022 edition. NHL Deputy Commissioner Bill Daly claimed last month that this “hadn’t been ruled out as a possibility” due to the greater commercial incentives provided by the Chinese market. “We definitely always strive to have participation of the best athletes,” Dubi added. This follows a meeting here also attended by Fasel and IIHF general secretary Horst Lichtner. “I will go everywhere and anywhere to beg for the money,” he told Associated Press. A further meeting between the IIHF and the NHL was expected to take place in November, but it appears possible it could now be held during the inspection visit.